Can a 9 Volt Battery Save A Life – Even Yours? It’s becoming very clear that persons with serious brain related issues can, in many cases, be very effectively treated with the simple application of an extremely low current to the scalp, sourced from a common battery! Nothing painful, exotic, complicated, or dangerous is involved. Yes, transcranial direct current stimulation (tDCS) can be used to treat depression, chronic pain, and is being researched as an aid for Parkinson’s and Alzheimer’s patients. But TDCS has also been shown to be an effective way to speed learning, ease memorization, and enhance creativity. 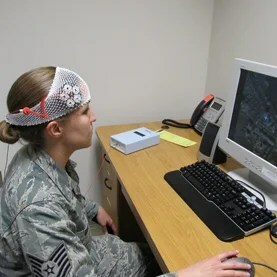 As an example of how far ranging tDCS use is, the US Air Force and Army have apparently been using tDCS techniques to improve cognitive capabilities for years! I’ve been completely fascinated by tDCS since I first learned of it. What other technology is so simple yet has the potential to help so many – whether it be to treat depression, chronic pain, or just dramatically improve the ability to learn or memorize almost anything. What else does all of that with almost no risk or side-effects? Why this isn’t the lead story on the evening news and your local paper is hard to explain. Think this is all hocus-pocus? Many big name research institutions around the world are now involved in tDCS including MIT, Harvard Medical School, Emory University, University of Michigan, the Spaulding Rehabilitation Hospital, Massachusetts General Hospital, University Medicine Berlin, The City College of New York and many more. A quick look at http://www.pubmed.gov will reveal that over 900 studies of tDCS have now been published! tDCS basically involves using a tiny amount of energy from a battery applied in particular locations on the scalp, depending on the effect desired. A one or two milliamp ( 0.001 amp) direct current is applied via saline-wetted sponges to two points on the head. For example, for depression the negative lead is placed just above the right eye on the forehead and the positive lead goes high on the left-forehead.) For depression, typical treatment lasts about 20 minutes once a day for about 30 days and the person receiving the treatment feels nothing other than a slight tingle. Treatment can easily done at home. That’s it. No expensive medications with unpredictable results and terrible side effects. It works! Wow! Big pharma is not going to be happy about this! While assembled tDCS equipment sold by vendors in the US normally requires a prescription (raising the price to $300 or more), the safety record of tDCS has caused the FDA and suppliers to “look the other way” allowing a number of vendors to now begin offering tDCS equipment directly to individuals. For example, a company by the name of foc.us has recently started shipping a feature laden tDCS headset which sells for about $250. So, Can a 9 Volt Battery Save a Life – Even Yours? The Centers for Disease Control reports that about 10% of Americans are clinically depressed and either on medication or in need of it. Also, about 40,000 people per year commit suicide in the US! This huge depression/suicide problem is not being effectively addressed because many who need treatment will not seek it out. Why? There are several possible reasons including the stigma of depression and its treatment, lack of access to appropriate care, the high cost of treatment and medications, etc. tDCS is inexpensive, simple, side-effect free, and shown to have positive effect in many scientific studies. In my opinion, It should be in the “tool kit” of every doctor and mental health professional. I’ll close for now and provide you with some links to investigate. tDCS looks to be a bombshell that could literally transform the lives of many, many people. It probably deserves your awareness!